Ferguson School exists today only in memory. The photo at right was taken in May of 1967. A year later, in 1968, the state closed the high school. Thirteen years later, in 1981, it closed the grade school. The buildings stood empty for too long. The school building on the left burned to the ground. 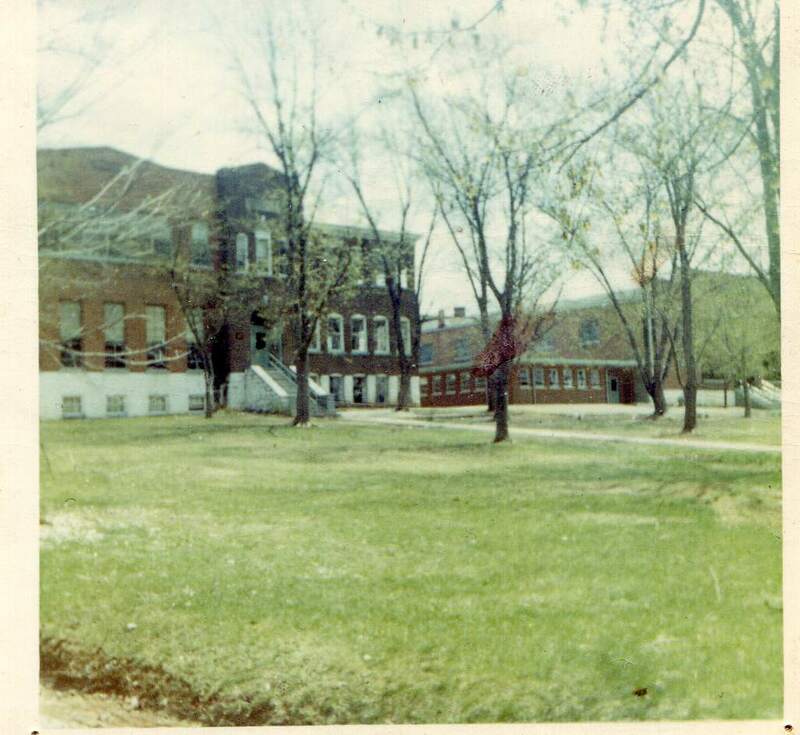 The low newer building in the middle, which was the administration, home economics and science lab building, today houses community offices. The tall building rising against the horizon to the far right was the field house, where the basketball team played for 40 years. Today it is a community recreation center. There is no school today in Ferguson. Children are bused to Pulaski County for grades K-12. But this was once a lively place, the heart of the town of Ferguson, the center of their lives for the children who attended. Ferguson had some outstanding teachers, coaches and administrators, and produced hundreds of outstanding students who went on to do well in their lives, both locally and across the state and nation. When the state closed the school and sent its students elsewhere, they found they were two or three years ahead of the classes they went into. The state said the school was too small to provide a quality education, but many of its students insist to this day they received a very good one. This website is dedicated to those students and to the memories of those who attended or worked here. It is a sort of online reunion. We welcome you back. Your hostess on this website is Nancy Atchley. 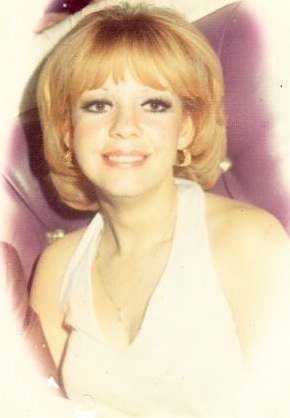 Nancy was a member of the last senior class, the 1967-68 group. She was born and raised in Ferguson and attended school there from first through 12th grade. 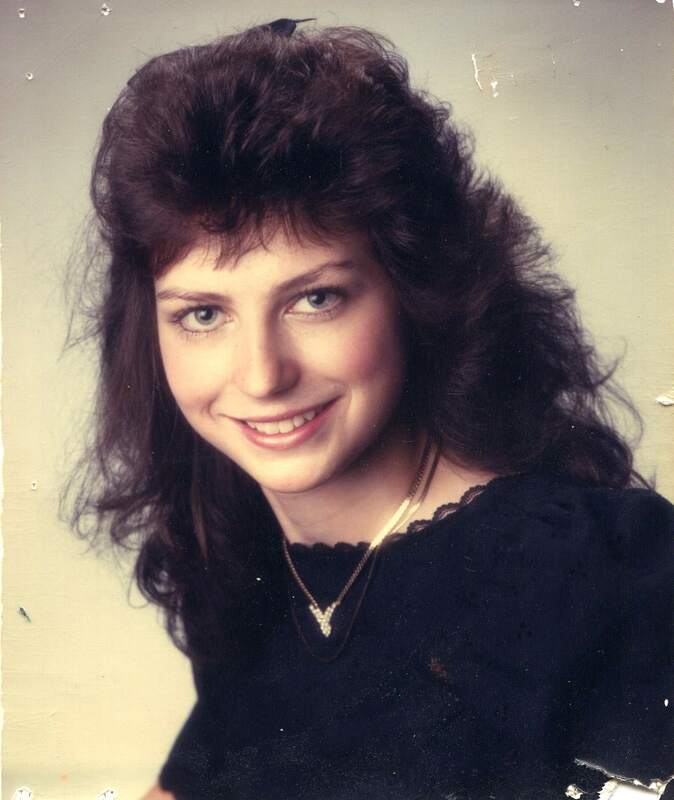 She was a cheerleader, basketball scorekeeper, and member of the newspaper and yearbook staffs. She left Ferguson in 1968 and attended Michigan State University and the University of California, majoring in Journalism. As the wife of thoroughbred jockey Glen Brogan, she spent three decades in the racing industry, breaking and training horses and living in Michigan, California, Pennsylvania, Florida and Louisiana. She has four children. Nancy returned home to Somerset when her mother became ill. She has now permanently relocated there. This website evolved from simple beginnings. In Sepember of 2008, Nancy posted a thread on Topix, a local internet message board. She asked if anyone remembered going to school at Ferguson. Expecting perhaps a dozen responses, she watched with amazement as the thread grew to more than six thousand posts. Over a hundred Ferguson alumni and residents checked in once a day to read the stories and look at the photographs and old newspaper clippings being submitted. Requests began coming in for her to create a separate website where photos, clippings and stories could be more appropriately showcased. Nancy organized a group willing to help and began assembling the site. She runs it out of her home and devotes about an hour a day to her duties as the message board moderator. These pages were created with Dreamweaver software. But while Nancy may be your hostess, this is not her website. It is yours. It belongs to the people of Ferguson. We need your memories on our message board, your photos in the photo section, your old news clippings in the clipping section. We did not intend this website as a spectator sport. It is a hands on participant site. So enjoy browsing through our pages, looking at the photos, chuckling or wiping away a tear over the memories, and reading the clippings. Then post your own thoughts, and upload or send us your photos and clippings so we can add them to our growing collection.